The Rocketfish Universal Wireless Rear Speaker Kit is easy to set up and begins to work as soon as both units are plugged in. No issue there. The unit itself could use a bit more power as the rear speakers can be overpowered by the front speakers. The unit may require you manage speaker efficiencies for a more even sound stage. The wireless Rocketfish speaker system does everything it says it does. It doesn't have any flaws. The signal is strong, no loss of signal, absolutely none. The devices synchronize right up, after the units are turned on. Power for the units are sufficient for rear speakers and I am very satisfied with the purchase. Hreat performance and easy to use!! Works perfectly! No audio lag and minimal sound quality loss, if any. 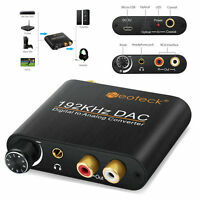 I consider myself an audiophile and love everything about this product!! Stereo music in the kitchen also, and no wiring through the walls. Very easy set up. The price was to good to be true. Great product if only it would work. Opened and connected based on instructions and no sound would play. Even when it was connected at 3 feet away from each other or 20 feet away. No sound whatsoever. Very disappointed.